Talk about seasonal extremes! 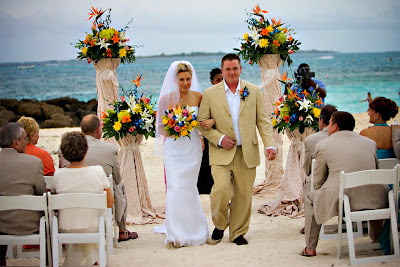 After being married in The Bahamas on January 5 on a glorious warm and sunny caribbean day, Lyndsay and Ryan returned to Missouri for their reception on January 20. And THAT evening it snowed and snowed and snowed...huge fluffy snowflakes that turned Columbia into a Narnia-like movie set. (And to top it off, their engagement session two months earlier took place in a park on a the final day of Columbia's bright orange and red Fall foliage--scroll down through the blog to see the 11-13-06 entry with THOSE pictures). From Fall to Summer to Winter in just two months. Cheers to you Lyndsay, and Ryan . . . you've already proven that your love and your marriage can weather all seasons! Pocketful of Rainbows, THE ALBUM! !